Kuilovsky-Sas, Yuliian [Куйловський-Сас, Юліян; Kujilovs'kyj-Sas, Julijan], b 1 May 1826 in Koniushky, Peremyshl circle, Galicia, d 4 May 1900 in Lviv. Ukrainian Greek Catholic metropolitan. As a young student, he was arrested for participating in the Revolution of 1848–9 in the Habsburg monarchy and fled to Paris, where he studied theology. He was ordained in 1854. In 1857 he obtained an amnesty from the Austrian government and returned to Galicia. He served as a priest in Peremyshl eparchy, then as rector of the Peremyshl Greek Catholic Theological Seminary and pastor at the Peremyshl cathedral. 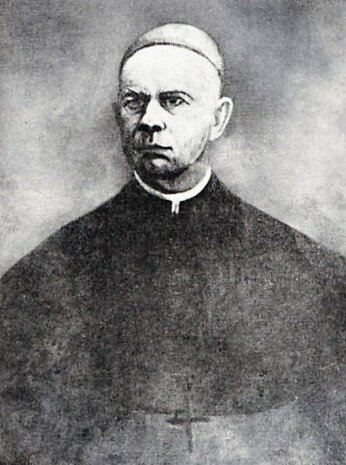 He was then appointed archpresbyter of Stanyslaviv eparchy (1887–90), assistant bishop of Peremyshl eparchy, and bishop of Stanyslaviv (from 1891). Kuilovsky-Sas was a conservative bishop who did not support the attempts at major reform of the church. In 1899 Pope Leo XIII appointed him Galician metropolitan, but he died soon afterwards.